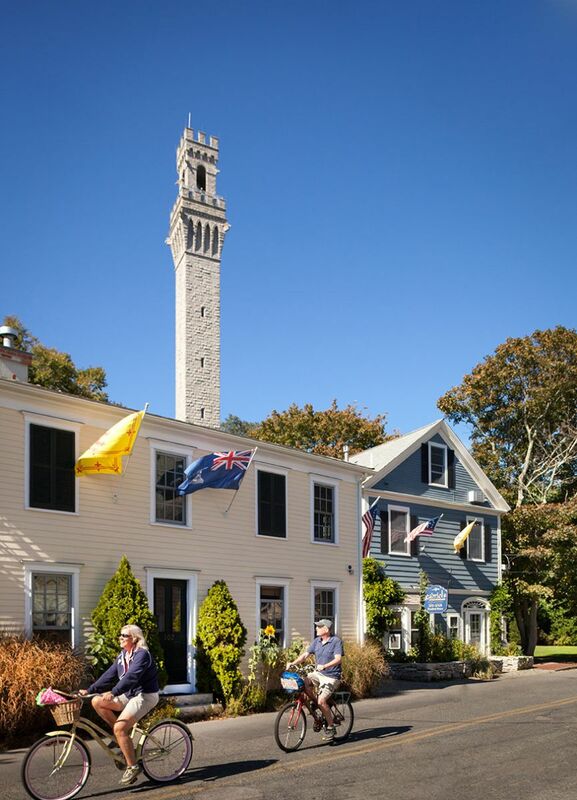 A stay in Provincetown for several days is the best idea, and the town provides a great variety of accommodations: camping sites, hotels, motels, charming inns, and bed and breakfasts. You can even rent a house or an apartment; there are several in the area. The summer season is the most occupied, so it’s ideal to book a room in advance. 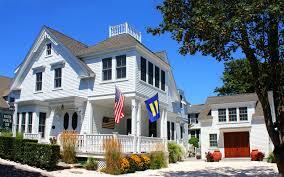 There are several places to stay in Provincetown: hotels,inns,bed & breakfast, and here are our top choices. 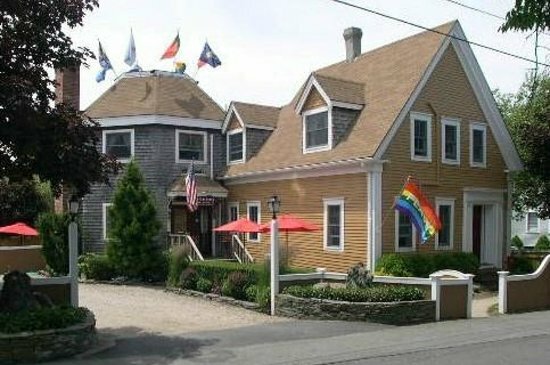 You can also find a convenient service and guide to finding lodging called « Last Minute », on the site ptown.org. www.womeninnkeepers.com, the Women Innkeepers of Provincetown, who run 10 inns in Provincetown and organize Women’s Week in May in Provincetown. 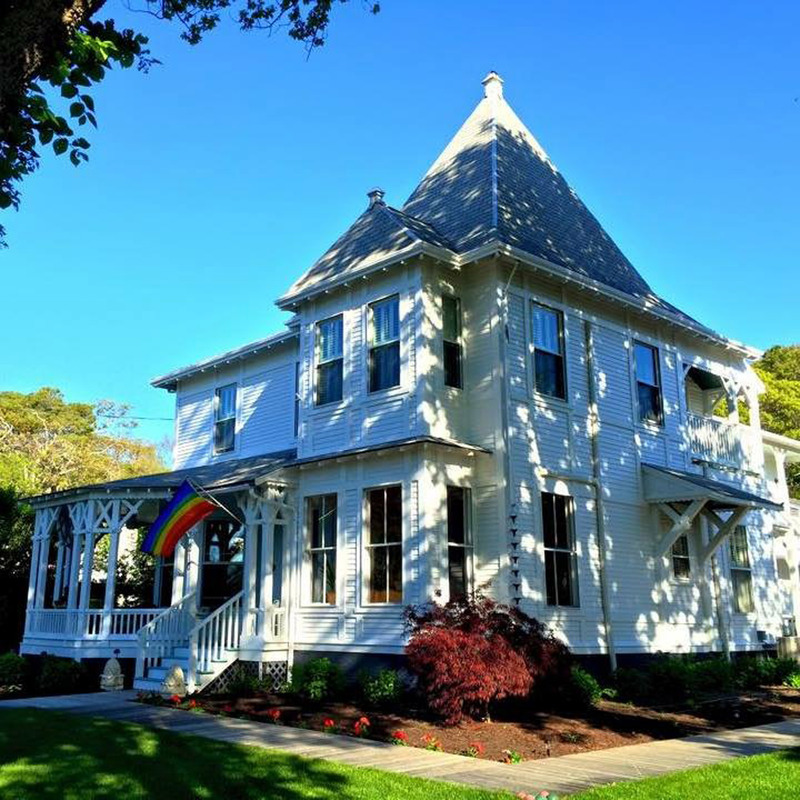 In the heart of Provincetown, expect a warm welcome at this charming Inn, with 8 bedrooms and a secluded cottage, all tastefully and creatively furnished. The Inn attracts gourmets and epicureans with delectable breakfasts and afternoon treats. A last tip: Don’t miss the Saturday social parties. Life elevated with harbor to bay waterfront accommodations each tastefully decorated dawning local art in a comfortable elegant setting. Each of our five guest accommodations offers balcony seating, beach access, private entrances, and parking. A cosy haven away from the crowds. 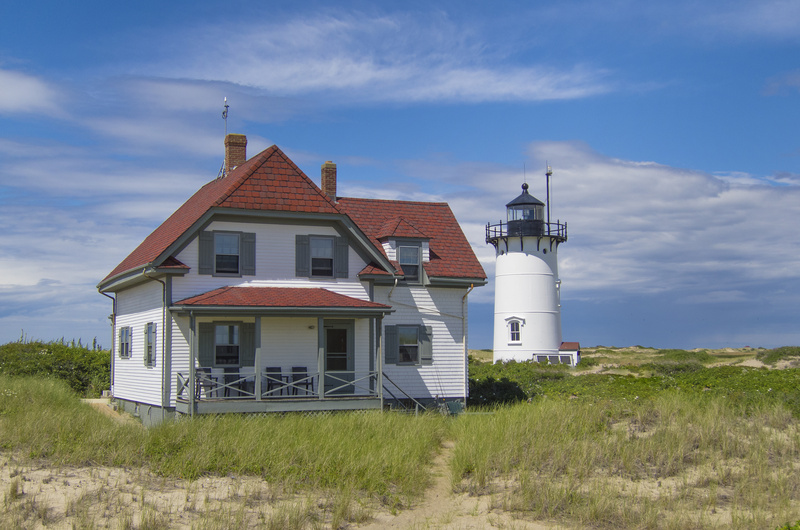 Cape View Motel is only minutes away from Provincetown, Wellfleet & Cape Cod National Seashore beaches. 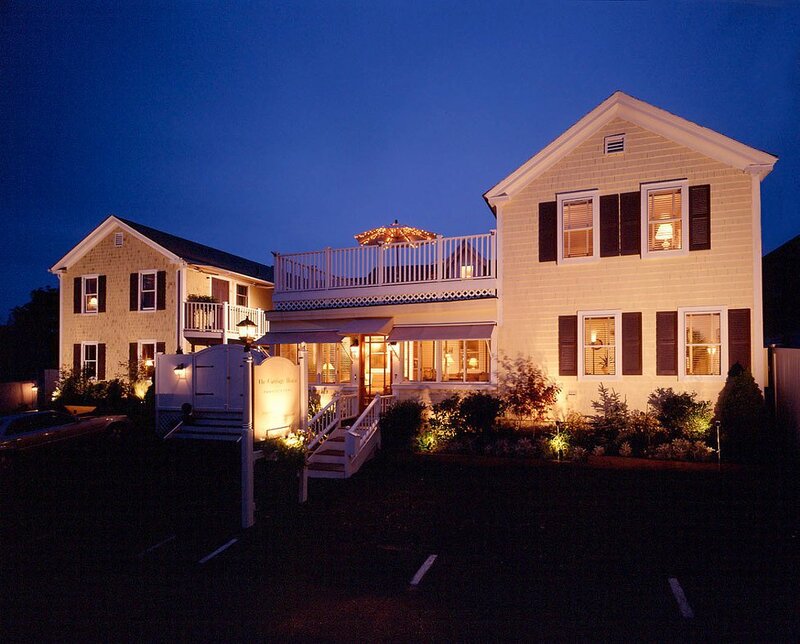 Located on the highest bluff in North Truro, it offers breathtaking sunset views of Cape Cod Bay from every room.The rooms have recently been improved and offer a very good standard, with good furniture and modern amenities such as air conditioning, flat screen TV, free WiFi, cable and Keurig coffee makers. 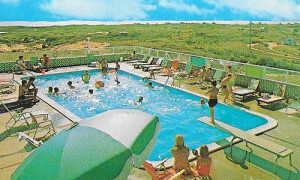 Cape View motel has a heated outdoor pool and you will definitely enjoy swimming or relax admiring sweeping views of the Provincetown and Cape Cod Bay from your poolside lounge chair. Reserve a Deluxe or kitchenette rooms to enjoy views from your private balcony. 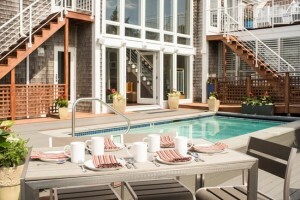 A perfect place in Provincetown with top of the line service. Here, everything is high-end. High-end service, chic decor, and a great location. A beautiful chimney heats this English-like atmosphere in all of its peacefulness. Visitors are mostly men. Classic and chic would summarize this hotel, in business for 100 years, right in front of the bay with a view of the very tip of the Cape. 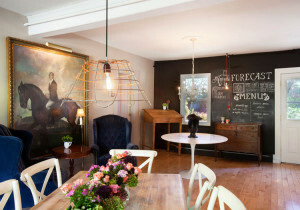 The hotel comprises three bedrooms, three suites, and two apartments, all tastefully decorated and embellished with works by local artists. 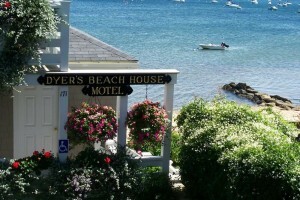 The Anchor Inn is situated right on the water, the rooms are elegant; sixteen of them face the sea. It’s a serious establishment with delicate service. The inn is a little gem. The breakfasts are prepared by a talented chef, the pastries are delicious, the spa excellent, and a stay of your dreams in perspective. Adult clientele. 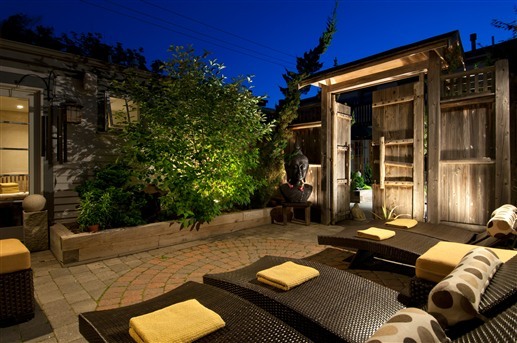 This little gem, constructed in 1850, features simple and modern decor; take advantage of the lovely sauna. 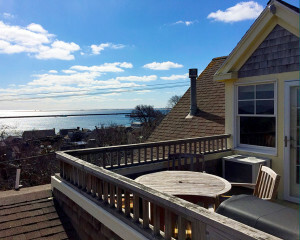 A relaxing place on the edge of Provincetown, with a prodigious view and three bedrooms. In the lighthouse guardian’s house, a stay here is very rudimentary but unforgettable. The Lands End Inn is situated in the West End of town; it’s one of the haven and its origins go back to the beginning of the 20th century. 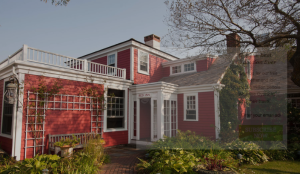 The house dates back to 1907, and you can feel the history of Cape Cod here: one of the former owners, Charles Lothrop Higgins being a descendant of the Pilgrims. 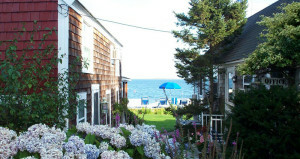 The Inn features exquisite rooms with gigantic breakfasts, a panoramic view of the ocean, as well as excellent service. Land’s End Inn benefits from extraordinary decoration, far from standard: everything is unique for a stay seemingly outside of time. Each of the 18 rooms is decorated with care and its own personality. 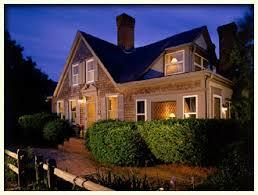 This Inn enchant you with its ambiance, its authenticity, its service, and its stunning view. Also see our post on the blog PTown. 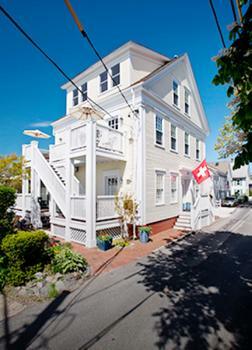 Located in the East End’s gallery district, Roux is the latest addition to Provincetown’s B&B scene. Inside a wonderfully restored Victorian property is a mixture of eclectic and classic interior design. 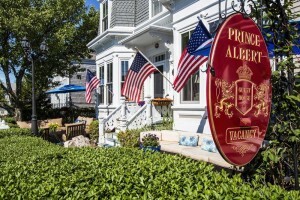 Rooms with nontraditional names such as, “Not Your Mama’s Rouge” and “Paris Trance”make this B&B a unique option during your Provincetown stay. Their scrumptious homemade breakfast emphasizes local produce and also features vegetarian, vegan and gluten-free options. Other amenities include Happier Hour – featuring small bites and wine – free WiFi, Cable/Flat Screen TVs and DVD players, A/C, and private bathrooms. You don’t want to miss a stay at the fabulous Roux! 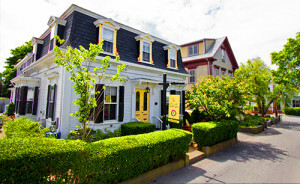 Two minutes from Commercial Street, this inn offers rooms with traditional decor. 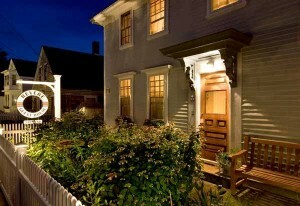 Snug Cottage is a small lovely bed and Breakfast, one of the most inviting inns in Provincetown. 8 guest rooms ( 6 with working fireplaces) , a gourmet buffet breakfast, a beautiful garden, and a very friendly staff, there will be noting to do, just relax and be happy. 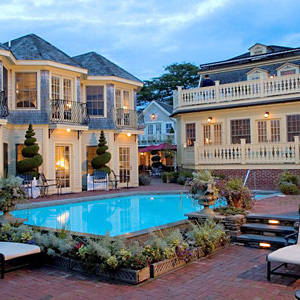 In this mid-19th century mansion, you will be in the center of Provincetown. The Inn offers 12 bedrooms, a veranda and a very beautiful decorated communal room with a piano and a fireplace. All accommodations have private baths, wireless internet, and refrigerators. Don’t hesitate to ask for the guest rooms with balcony, fireplace or jacuzzi… For gay couples. Seven sunlit guestrooms plus penthouse, many with water views, feature fireplaces, wet bars, marble-tiled baths, dual entrance and every amenity, all for a perfect stay this centrally located guesthouse. This special Inn offers a quiet and luxury getaway. The 8 Dyer Hotel really makes the experience, the owners are very kind, some rooms have a gas fireplace, a whirlpool tub, and all have very comfortable beds. The hot tub and common areas are immaculate and warm. It’s clear this hotel was designed from scratch to be perfect. Located on Commercial, in the center of all the action, you will find classic decoration in a pretty, charming house. You’re also just a stone’s throw away from the Boat Slip! Nestled in six acres of woods, this Provincetown accommodation features a beach volleyball court and a heated in-ground outdoor pool. 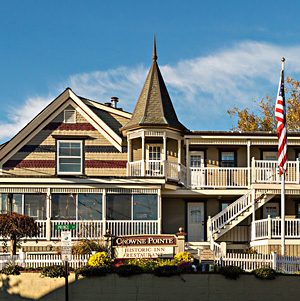 Each room of the Cape Colony Inn has a refrigerator, cable television, and free Wi-Fi. They also have an office desk and spacious private bathrooms. Continental breakfast is served every day in the main hall. Ideal for families. 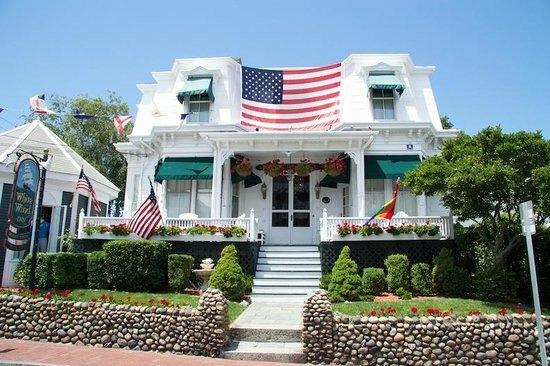 Located at the end of Route 6 and Old King’s highway, this hotel on the seaside has murals of Provincetown and the Cape Cod National Seashore. The bedrooms are equipped with cable television and Wi-Fi connection. You will also find a coffee machine and fridge in each room. Some rooms have terraces or a patio overlooking the water. 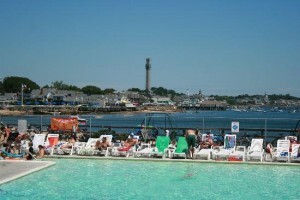 Profit from the biggest beach of Provincetown and the pool right next to it. 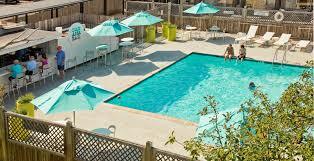 The Pilgrim bar and grill is right by the pool and the West End lounge serves meals and drinks all day long. A contemporary Inn, surrounded by complete quietness with ten modern and charming suites that feature private decks and a view of the bay. They are all equipped with kitchenettes including a washing machine/dishwasher. 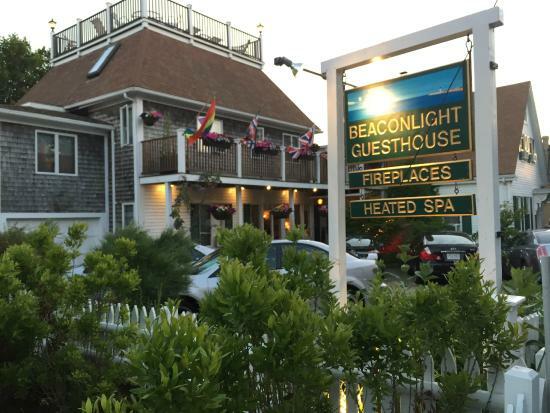 One of the very family-friendly inns of Provincetown. Impeccable service, contemporary design for a space perfect for relaxation. 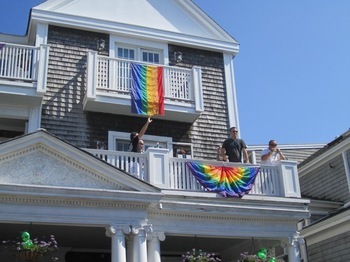 With its two addresses in Provincetown, one of which is on the bay, Aerie offers great service and rooms decorated with taste, some with chimneys, others with kitchenettes. A modern hotel in the East End with the bay right on the other side of the road. In the summer, a number of events are offered regularly. Redefining the classic bed and breakfast with a fresh contemporary approach, Salt House Inn aims to deliver a new level style and service to the heart of Provincetown. Each of the fifteen guestrooms is individually designed to evoke the feeling of a breezy beach cottage and capture the history and charm of Cape Cod. The inn features completely renovated bedrooms with private baths, luxury bedding and amenities, a gourmet complimentary continental breakfast each morning and lush gardens. Guests also enjoy many other amenities such as free parking and WIFI. It’s beautiful, it’s simple, the terrace and the dining room are exquisite. This newly renovated guest cottage offers 12 rooms in the West End. “The Fox” is the perfect destination for visitors wanting the best of both worlds – Soothing quiet and relaxation along with the dynamic and artistic energy of downtown P’Town. 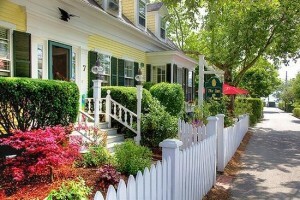 Provincetown’s Admiral’s Landing Bed and Breakfast, is a women owned Inn just one block from Commercial Street and the bay – centrally located. 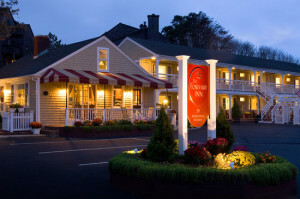 The lovely Inn offers lodging with a wide range of amenities including WiFi, fireplaces in most rooms and a hot tub. Great times & great prices for gay guys in the heart of Provincetown center! The inn offers nice rooms with shared baths. The least expensive option while being directly on the bay! Uncomplicated and basic decoration. 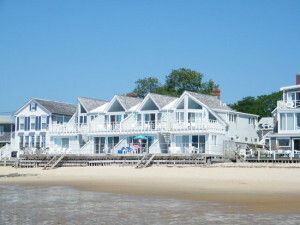 Situated at Provincetown Harbor, this Cape Cod complex offers access to a private beach. Standard bedrooms and cottages are available, all the cottages facing the bay. All the Masthead lodgings are equipped with free Wi-Fi and cable television. A fridge, four microwaves and one coffee machine equip the lodgings. There is an open terrace right on the length of the beach and napkins that are provided by Masthead. You will find on the location cast-iron barbeques and spacious lawns for picnics. The Masthead complex is just six minutes from the Pilgrim Monument. 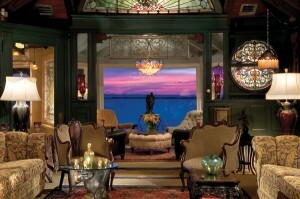 This Victorian-era setting is perfect for a romantic stay. On Bradford Street, Rome’s Holiday & Spa is secluded from the sometimes rowdy Commercial Street, but is still just steps away from several bars and nightclubs for when you have that craving to dance. Rooms feature color 19’’ Flat Screen LCD TVs, free WiFi and air conditioning. The hot tub is perfect for soothing away stress. 85 locations for tents and fifteen for car camping are at your disposition on this tranquil land, situated near the dunes and the beaches. You can get to the center of Provincetown in five minutes. This campground is step away from town center and a brief bike ride to Herring Cove Beach.